The price of nannies is going through the roof! 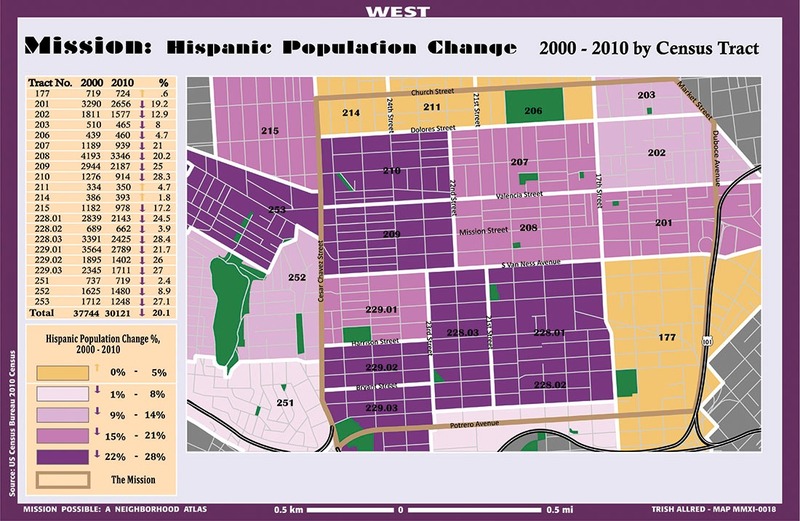 I live in tract 207- there has been a 20% decline in the “Hispanic” population. 208 has similar numbers. I spend 90% of my time in this part of the world/ state/city so it explains why I think the Man released a virus that targets brown people, and which is only abated by standing in a kitchen. Because they work there. This map is part of a collabo between Mission Local and UC Bezerkely. The thing supports a good cause (I guess, I mean, let’s just say it supports Mission Local) but don’t look too closely. One of the maps is about babies and dogs, and starts with the words: “The Mission is becoming a known as a place for families…” I just can’t with that. Ok. Look. There are so many schools in the Mission… let me try again… You know how the pope says no condoms and how people from Latin America are Catholic… Hmm.. is this because when THE HELP has kids they don’t count? Or is this is really a veiled reference to the fact that the Mission is becoming Lower Noe? Pretty clever.